There are beers I remember from my past, no longer made or in the same form, I try to recreate. I do that in different ways: summoning sheer memory; buying a brand of today which closely resembles the avatar; buying the same brand of yore where available; blending two or more beers. Sometimes my Proustian efforts falter; more usually I make the grade. In the memory category, I’d put Fuller’s Extra Special Bitter, sampled in half-pints in the Star Tavern, Belgrave Mews West, London. I first started going to the Star Tavern in the mid-80’s, and my last visit was 3 or 4 years ago. It had hardly changed. A tony pub but still a pub, with excellent beer and food and nooks and crannies galore. The best time to go was autumn or winter, and the best drink was Fuller ESB. It had a rich, winy taste, more malty than hoppy, so kind of strong ale that crossed stylistic boundaries. I know Fuller ESB is still made but admirer as I am of house Fuller, it doesn’t taste like it did then. It is less luscious now, more like a strawberry rhubarb pie than a boozy sherry trifle. 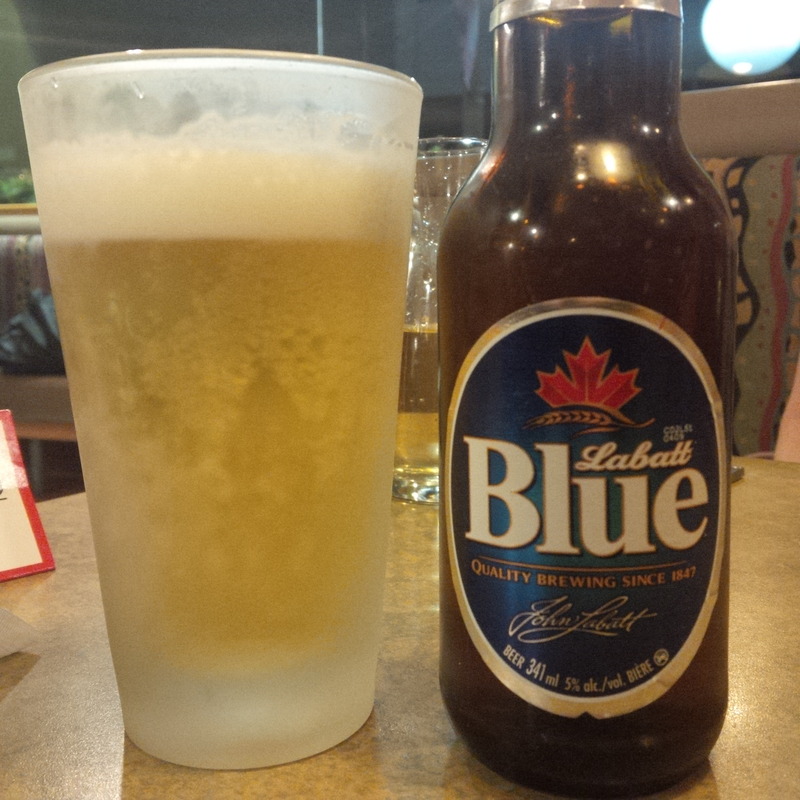 Another beer of memory is Labatt Blue – also of course still made. It used to have a lightly malty taste, and mild but fragrant hop character. Now, well, I just don’t see much connection. Good knocked back cold with a plate of wings though. Then Ind Coope Burton Ale, the plummy-tasting bitter ale which the Coach & Horses, Greek Street, London served in perfect condition. The owner, Norman Balon, looked a lot like the American actor Walter Matthau, the guy who played opposite Tony Randall in the film version of The Odd Couple. He could be a little grumpy at times but it was just his way. When I first went there in the 80’s, the division between saloon and public bar was still observed but this died away in time. I have an almost tactile memory of how that beer tasted, and how fish at Manzi’s around the corner tasted (that English ground-nut oil and feathery plaice), and the smell of the rain on the pavement. This is a hard one to conjure up today but there is a pale ale from British Columbia that gets close if very fresh, Okanagan Spring Pale Ale. London, London you haunt me in my dreams..
Of beers that can be recreated by buying a similar one, there is, also from British Colombia, the simple but well-made brown ale, Gypsy Tears Ruby Ale from Parallel 49 brewery. It uses American hops for the flavouring, and reminds me a lot of Pete’s Wicked Brown Ale in its first years. This was a well-known early craft beer which had the simple honest taste of both England (the caramel malt) and terroir (the loamy soil of the yawning Washington and Oregon valleys). Originally, it was an American’s salute to a northern brown ale, Samuel Smith Brown Ale in fact, but ended by being something different. Today, there are many stronger beers around with more hops in them and cloudier mien, but simple and clear are often best. This beer reminds me of early trips to San Francisco: North Beach and the Mark Hopkins and the fishy stew, cioppino. As for blending, and speaking of Samuel Smith of Yorkshire, its inky Imperial Stout, now available again at our LCBO, seems less pruney and sweet than it was. Still pretty good, but not what I remember. I poured some in a pint glass and topped it up with a tar-black American Imperial Stout, Tenfidy. From Colorada. Them Americans learned a thing or two about beer over the years, mostly from the historical and cultural mother land, England. The result was much closer to Sam Smith’s Imperial Stout as I recall it in years past. You can’t go home again, Thomas Wolfe wrote in the 1930’s. What did he know from beer?